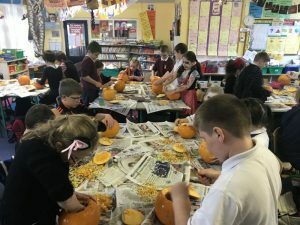 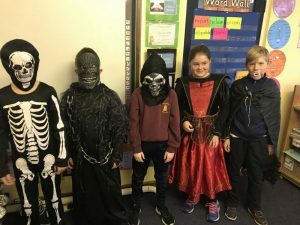 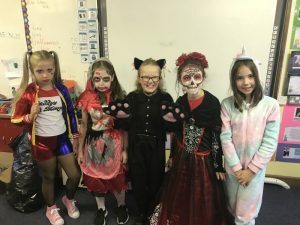 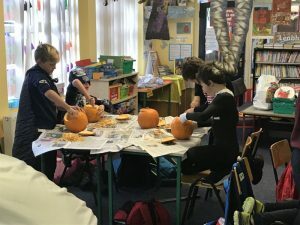 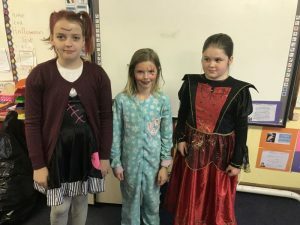 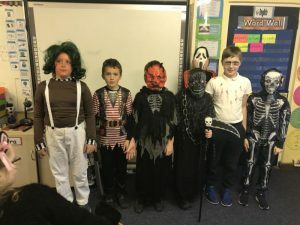 Halloween Fun in Scoil Naomh Cualán! 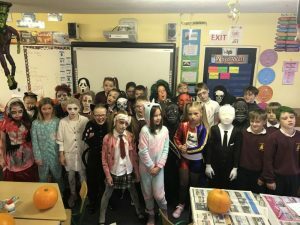 Scoil Naomh Cualán was a very spooky place to be on Thursday, 25th of October. 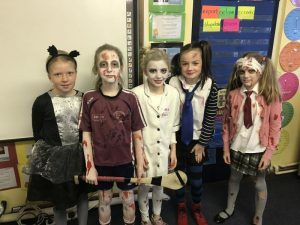 There were ghosts, goblins, witches, zombies… roaming the school. 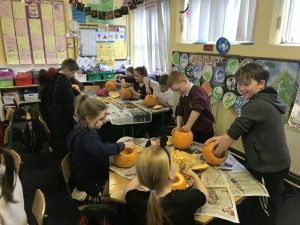 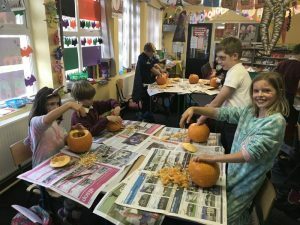 Children in the older classes enjoyed pumpkin carving.